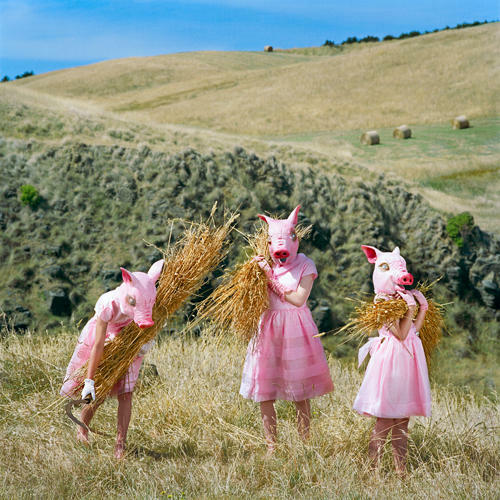 Since 2002, Polixeni Papapetrou has turned her focus to the subject matter of childhood. 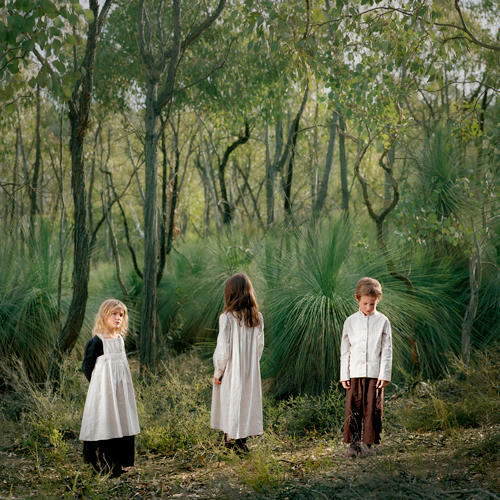 Whether she is drawing upon ideas about the representation of childhood from 19th century photography, ('Dreamchild' 2003 and 'Wonderland' 2004), exploring the power of dress ups ('Phantomwise' 2002), revisiting the experience of childhood in colonial Australia ('Haunted Country' 2006), reflecting upon a lost freedom and the regulated lives of children growing up in the world today ('Games of Consequence' 2008), looking at the magical affinity that children have with animals ('Between Worlds', 2009) or looking at the roles that children mimic from the adult world ('The Dreamkeepers' 2011-2012), is reflecting upon the different facets of childhood and presenting a picture of a more knowing child. The process of growing up can be a period of ambiguity and uncertainty. 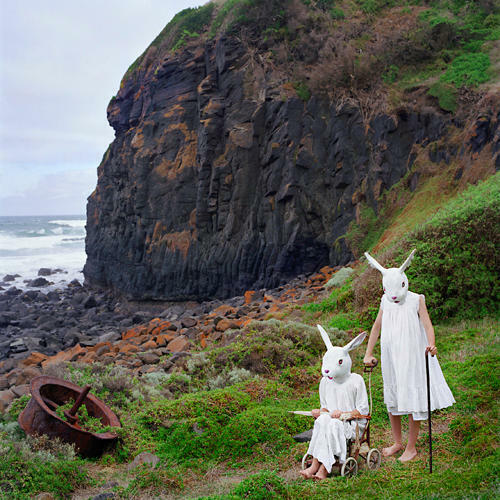 Polixeni Papapetrou creates a visual unreality that parallels this liminal period of young lives. 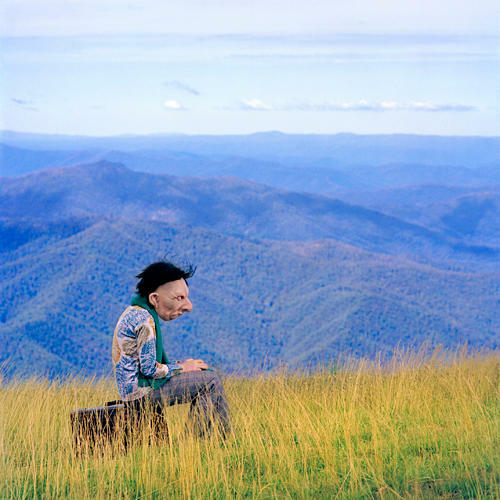 While her work takes the viewer into the realms of fantasy and story telling, she also challenges expectations regarding the portrayal of childhood in photography. 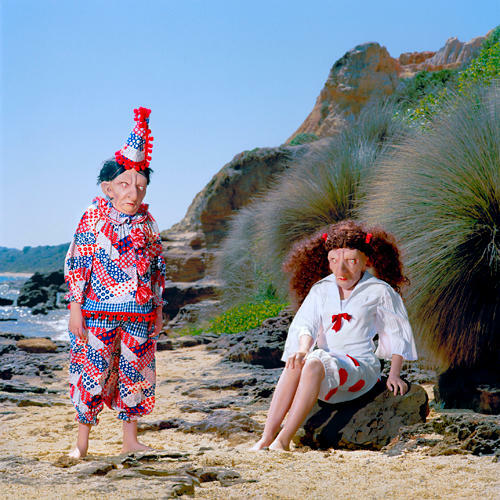 in making photographs about her children and their friends in their various roles and guises, acting and performing, she traces a journey of exploration connecting myth, great works of fiction and her own personal experience. 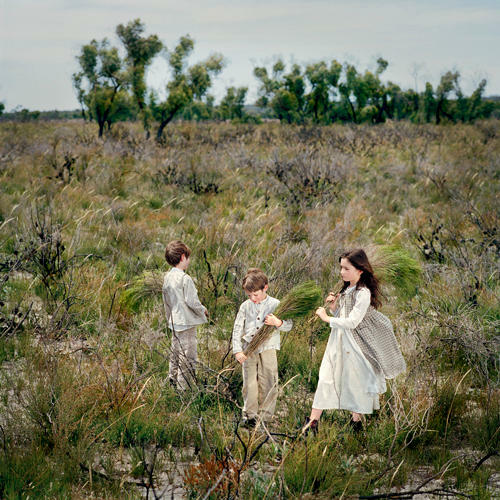 And so the photographs have a dual presence, both as a story and as a real action, performed by the children with their own moods and feelings.